I received my dress today. The dress looks good. Color and size are also good. Too bad he is so small wrapped up that the whole dress is very wrinkled. My previous dresses came in a box and these in a small plastic bag. anyway everything worked out, I'm satisfied with the result. I recommend the site. Thanks for the good customer's service of uk.millybridal.org. I was worried about the size before I placed the order. After the inquiry on livechat, I chose the custom size of the dress and it fits me very well. The quality of the dress is very good. And I love the details are perfect. This dress was made for me! It fit perfectly and I paid a little extra for a custom fit! It was made fast and delivered fast too! They have amazing service too! The quality of the gown is superb. I will definitely order many more times from here! Don't hesitate to order from them? ?you won't be sorry. Spend the extra money and get it custom fit for you, but be sure to have someone take accurate measurements! I was a little afraid of ordering online however this dress was perfect, and Ashley helped me, I had a little problems with my computer but in the end it was OK. I thank you all again! the dress quality and the fit was perfect. Your guys of uk.millybridal.org is very kind. You helped me a lot when purchasing the dress. The dress reached to me. It is very beautiful. Thanks for your good service and dress. It is really a good experience of buying things on your website. Thank you so much!! This is my first time I've ordered something from your website. I was suggested to have this dress customized. I was a little afraid of ordering dress online at first. I was worried that the size would not be suitable. But when I put it on, I was totally amazed. The stunning dress fit me perfectly. Highly recommend uk.millybridal.org!! Very pleased with their customer service, and the cloth arrived on time. The dress is beautiful and my husband loves it. I am Happy :) Thank you Uk.millybridal. I ordered this dress for a party. 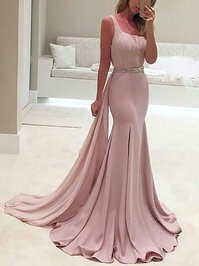 This is the second dress I have ordered from uk.millybridal.org as the former dress is wonderful. This dress is also of very high standard and is very flattering. It looks wonderful on me. The design and material are just as the picture shows. Really good quality and I am very pleased. This dress fits perfectly! Love this dress! Highly recommend to order it! The quality is pretty good!